Posts of Block Technology Manager (BTM) and Assistant Technology Manager (ATM). Error free online application form is invited from eligible and intelligent applicants on or before final date. Deserving and fantastic appliers will have to visit the official website of this of department and then follow the steps to deposit the form for offered posts. Dear applicants for the selection get ready to beat written exam and interview. Before apply you are advised to check skills then proceed further. 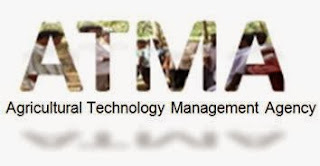 Each and every point attached with way to apply perfectly for ATMA Recruitment is declared below by the team members of ejobhub for the visitors of this portal to help them in applying method for this chance of careers. All candidates should read about the applying method and then submit checked form on or before last date. All the best! Further news of latest vacancies in this organization can be obtained by visiting the official website of department that is www.hooghly.gov.in. In addition to this you can also use this post to get other new public sector jobs. For the post of Block Technology Manager: He / she must possess graduation or post graduation degree in Agriculture/ Horticulture/ Agriculture Engineering/ Veterinary & Animal Science / Dairy Science/ Fishery Science/ Forestry/ Food Technology/ Biotechnology/ Sericulture/ Home / Community Science and Food Nutrition & Dietetics with 6 month computer course. For the post of Assistant Technology Manager (ATM): Candidate must be a graduate or post graduate in Agriculture/ Horticulture/ Economics/ Marketing/ Veterinary Science/ AHD/ Fisheries from a well recognized institute or university. Candidates having one or two years of experience will be given more preference. Age Limit: Age of the applicants must not be less than 18 and more than 45 years of age. Recruitment Process: Selection of appliers will be made on basis of performance in written test followed by personal interview. No TA/DA will be paid to any candidates for attending written test. Further press on the “Recruitment for various Post under ATMA, Agriculture Dept. Hooghly” link. Now fill the application and upload their recent scanned passport size photograph and signature in prescribed size.